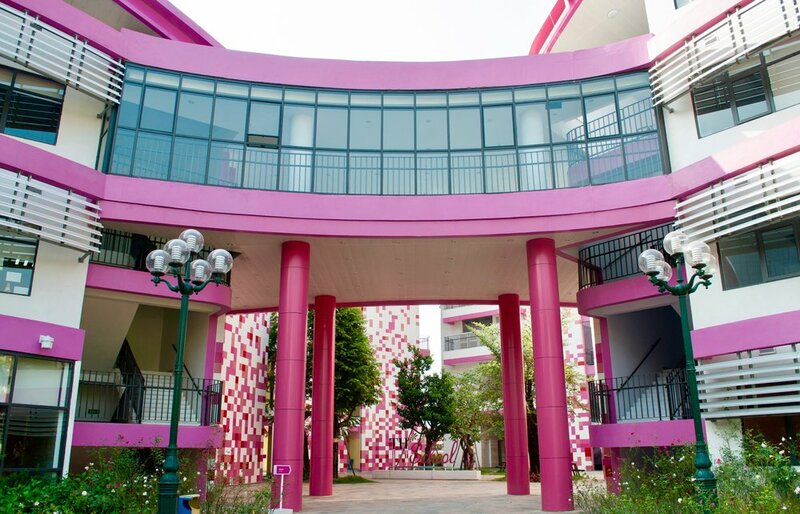 Located in the Đống Đa district of central Hanoi, TH School's flagship campus stands out with its colorful design and modern architecture. Classrooms are installed with high-end furniture and modern equipment, suitable for each age group and with safety and effectiveness in mind. The canteen is designed with a control area and a spacious, convenient dining table system. Dining time allocation for each grade is calculated by software to maximize the canteen's operational efficiency. The library is a bright, contemporary space with a growing collection of books that are an important resource for students. Designed as a space for study, the library is outfitted with desks and plenty of seating. 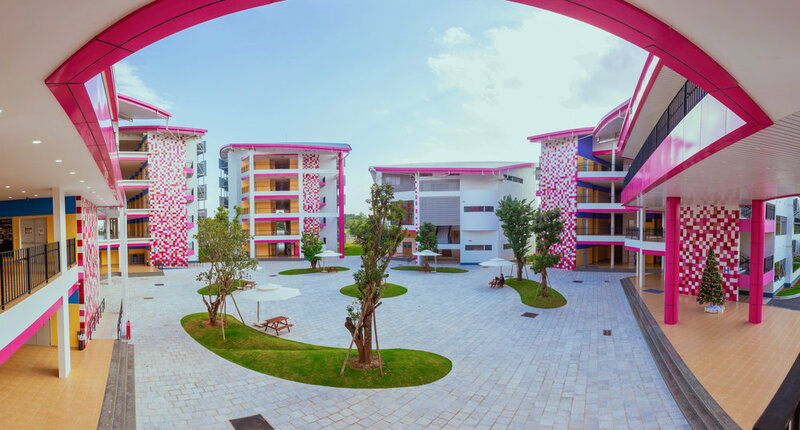 Courtyards with seating and outdoor playgrounds provide students of all ages with a place to unwind. We have 6 dedicated laboratories for Biology, Chemistry and Food Technology. Learning materials and experimental equipment are provided by leading global suppliers, supporting the teachers in applying scientific teaching and encouraging research and innovation among our students. Our interactive Food Technology labs are used for students from Kindergarten onwards to explore and enquire knowledge and skills about nutrition and programming a healthy diet. 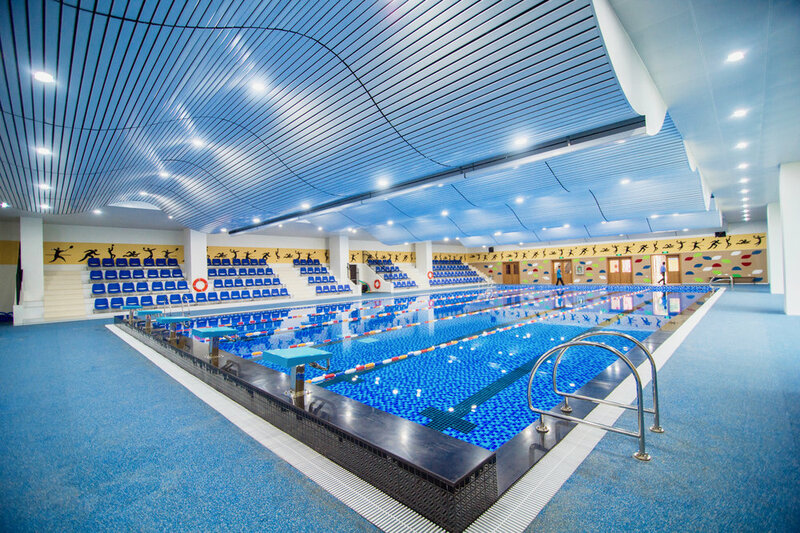 We have several facilities for physical activities: an indoor swimming pool, outdoor playing courts, and a sports hall. The sports hall is designed according to international standards, where students can practice multiple activities such as badminton, basketball, volleyball, table tennis and indoor football. 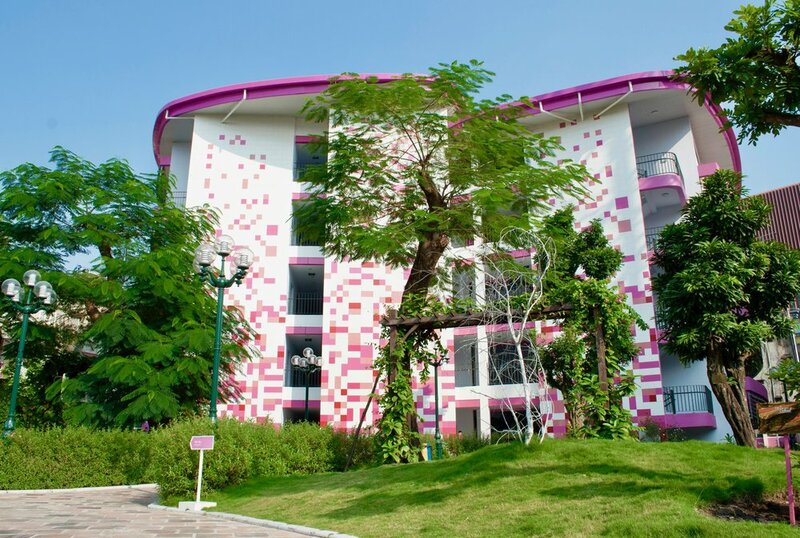 Learn more about our Chùa Bộc campus in Hanoi’s central business district and our Hòa Lạc campus on the outskirts of Hanoi.